easibed equine bedding is planning to gallop into 2019 full of New Year joy, as it celebrates its 18th year of business by giving away a year’s worth of prizes! The dust free wood fibre bedding first landed in the equine bedding market 18 years ago in December 2000. To celebrate this milestone the company has planned 12 months’ worth of fantastic prize giveaways for 2019, including riding lessons with international riders, signed merchandise, tickets to equestrian events, free bedding and much more. As part of the celebrations, easibed is also launching additional merchandise with branded Thermatex rugs, softshell jackets and easi aprons for budding cooks all being added to the brand’s existing range of easibed branded goodies. 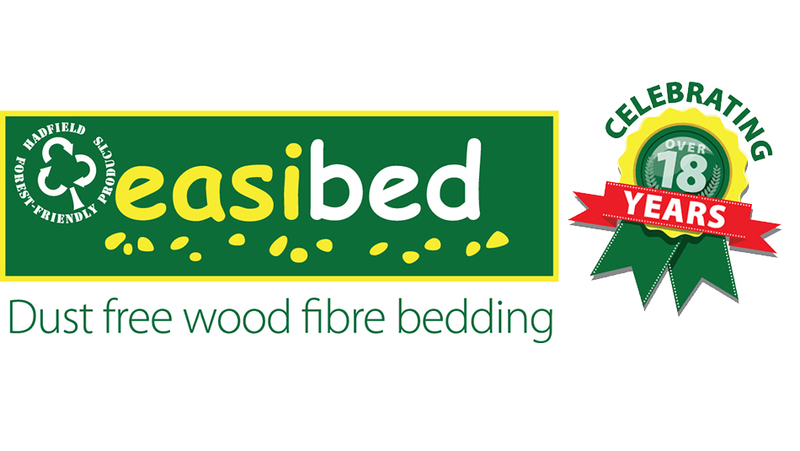 easibed merchandise is available to users of the bedding who collect easitokens which can be found on the 20kg bales. The tokens can be collected and exchanged for a range of free easibed merchandise, which can be seen at easibedding.co.uk/easitokens.